With a lot of excitement and some pride, I present to you Pudding and Cake, my crochet guinea pig patterns. Meet the furry little boys! 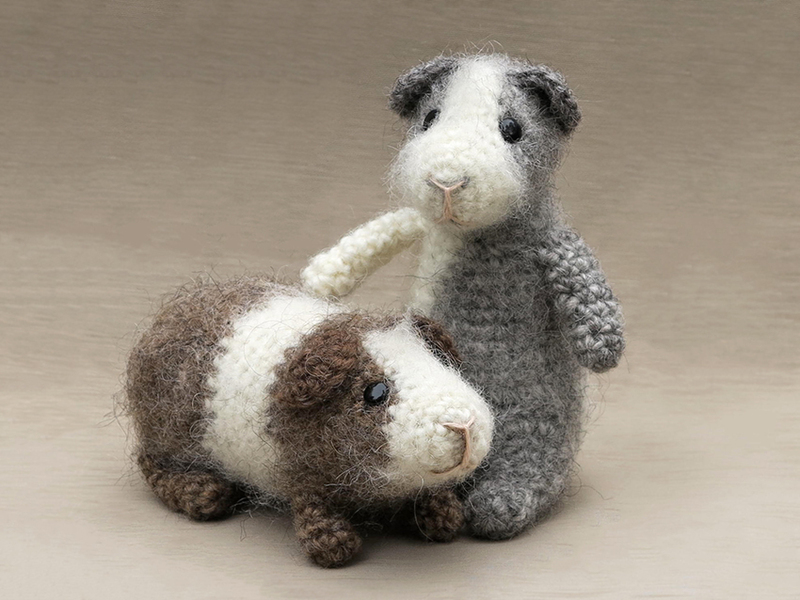 Not one crochet guinea pig pattern but two? Well yes! 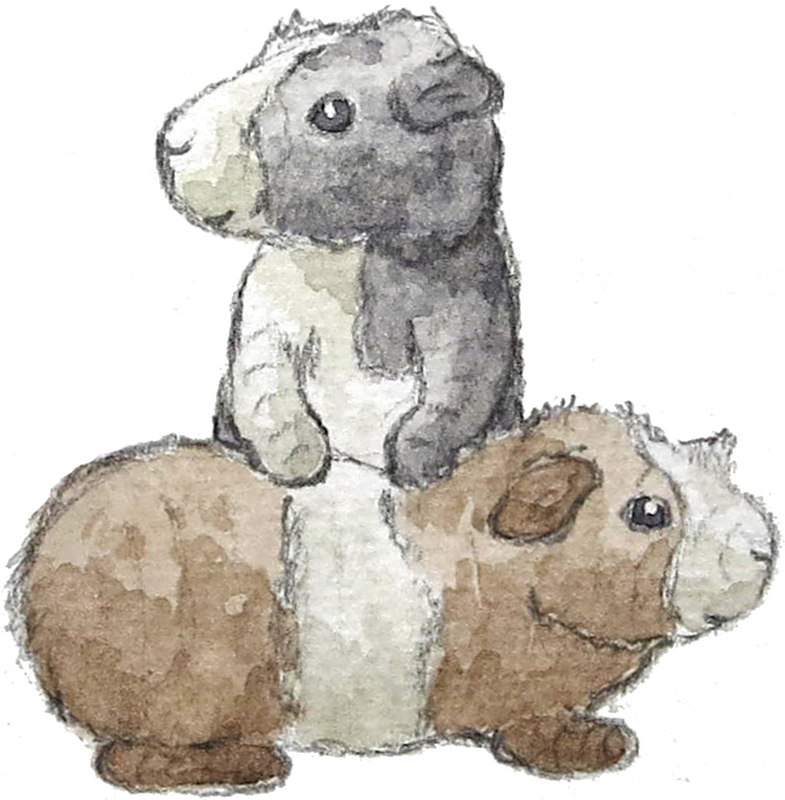 I started by making a sketch as I always do and somehow got to a final one showing two cuddly guinea pigs. At first that was just the lovely sketch but the further I got with making Pudding, I felt like actually making that second piggy on all fours too. 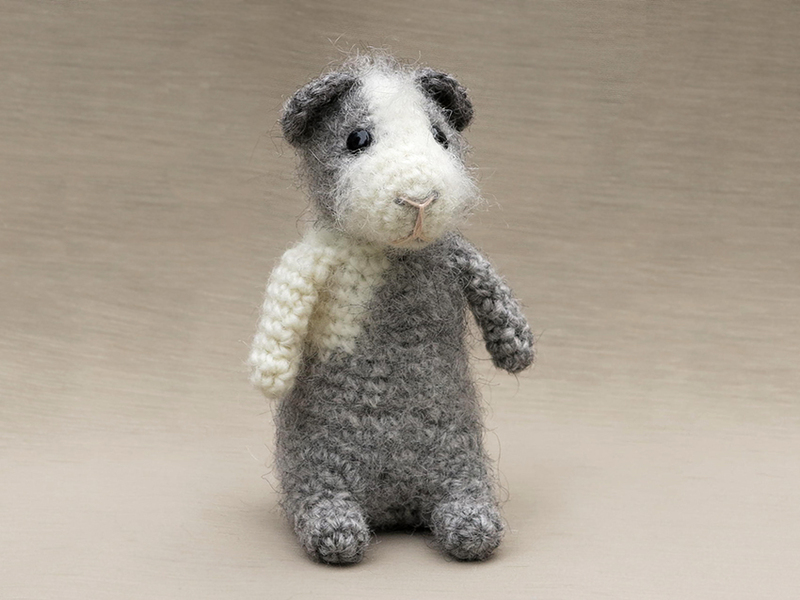 My basic idea was to make a standing guinea pig, a whimsical character like most of my crochet animals are. I think because guinea pigs have a special place in my heart (I have had them when I was little and for the last 10 years too), it felt so natural to make Pudding a friend. 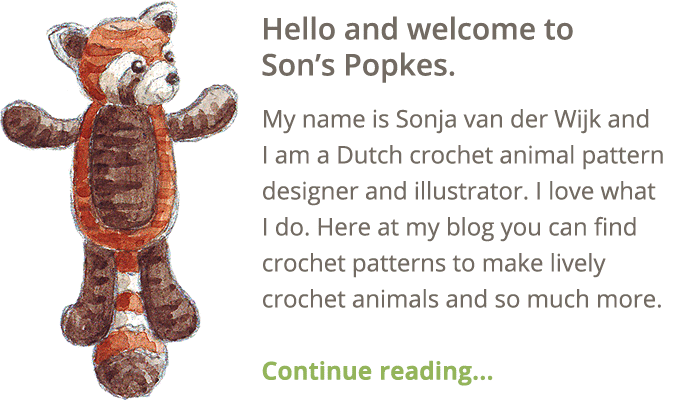 My crochet animals usually are a blend between a realistic looking animal and a playful doll shaped character. For the second piggy I decided to go for a more classical shape, standing on all fours. As that isn’t really my thing, it felt a bit odd designing an animal like that so I tried best to capture the playfulness my patterns normally have. And I had to, making Cake a perfect match to Pudding. Don’t they make the cutest pair? I’m a bit stunned myself, they look so adorable and funny together with their wild looks. When I started designing Pudding, I really wanted to give my crochet guinea pig the appearance of the abbesinian guinea pig, my favourite type. But adding yarn like lion’s manes felt a bit too much, so I decided to go for brushing. 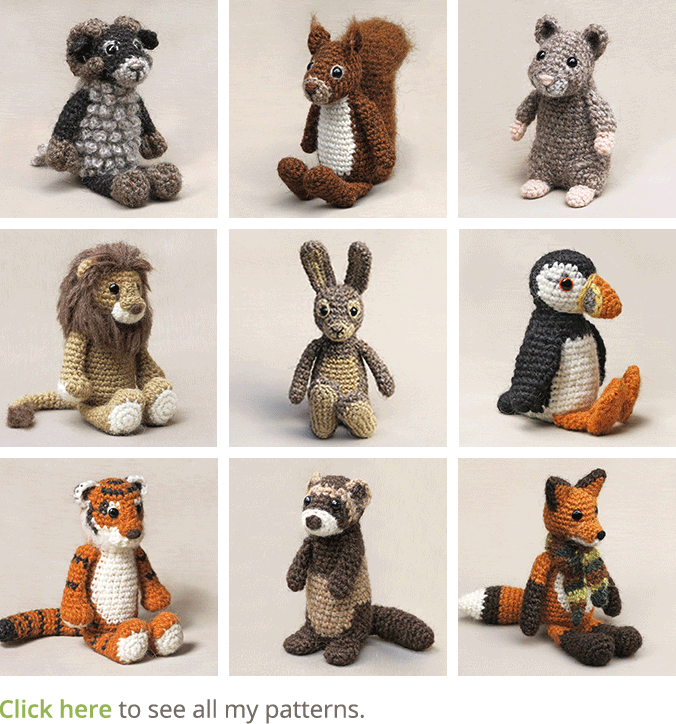 Brushing the crochet surface gives an animal such a wonderful look and is so easy to do too. All you need is a hard brush and some courage. Now about the patterns. Both piggies are about 5,5 inch/ 14 cm tall and made with Isex Lett Lopi wool. There are three versions you can buy. A discounted duo pattern with both Pudding and Cake’s pattern to make the pair. You can buy this pattern in my shop at Craftsy and in my shop at Ravelry. The pattern for Pudding. You can buy this pattern in my shop at Craftsy and in my shop at Ravelry. The pattern for Cake. You can buy this pattern in my shop at Craftsy and in my shop at Ravelry. You can order them directly from me here too. 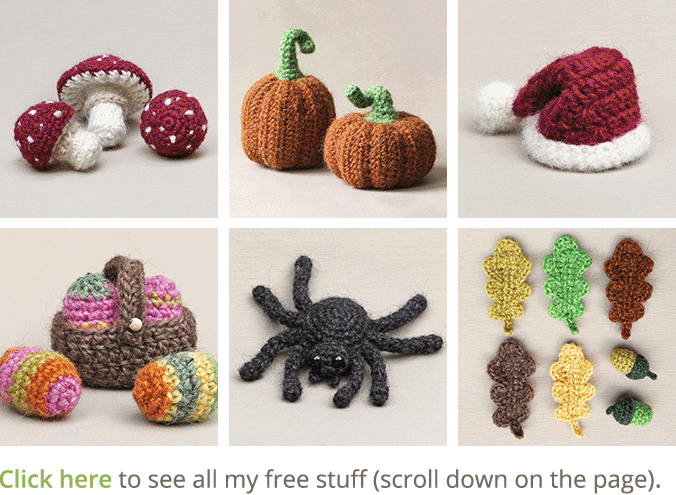 All three versions contain a clear and colour coded description of how to crochet and assemble the piggies with example pictures at the bottom to help you get everything right. In the patterns you can also find what materials you need, the yarn colour numbers, in short, everything you need to know to make them. All the additional information you need to know about the patterns you can find in the shop listings. Here are some extra pictures of the separate crochet guinea pigs. 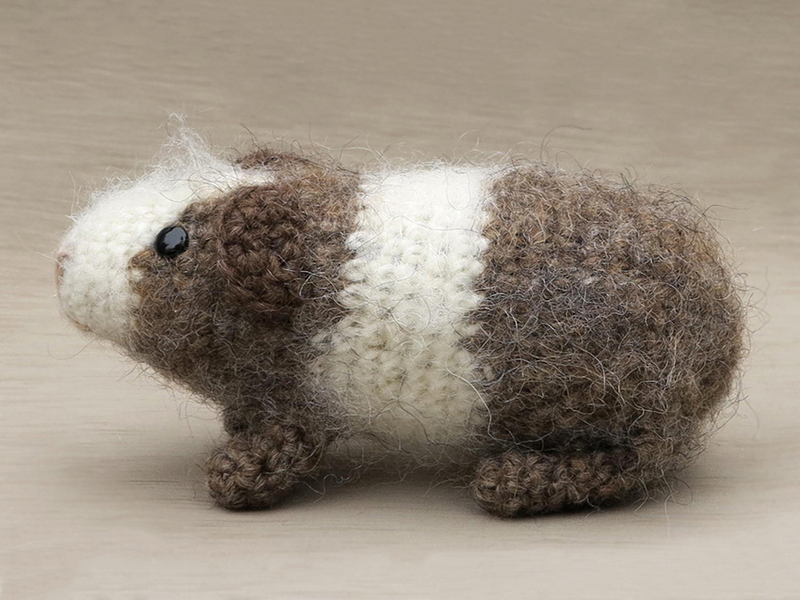 Designing two crochet guinea pig patterns was such a delight. As always, the patterns have a one dollar release discount till Tuesday the 22nd! Oooooh how cute are these. I have a friend who is mad on guinea pigs – i will have to pass this on to her! Thanks, I think she’ll love these!